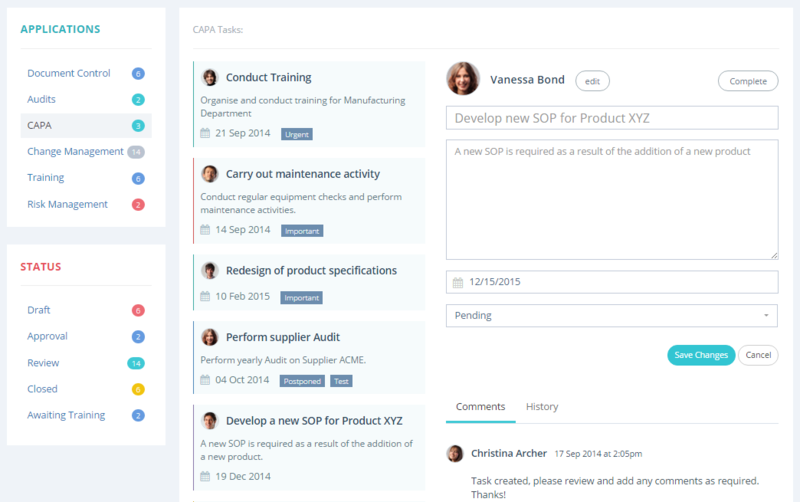 Momentum QMS empowers teams to work together to realize their shared goals. Automated business processes allow information to flow freely and continuously between individuals and teams allowing them to work together from any location at any time. Multiple tasks can be planned and implemented bringing a diverse group of individuals together in order to share knowledge and expertise in order to solve complex problems. Categorise all tasks so you know what your commitments are. Collaborate with your peers and see the full history of any task. Prioritize your tasks so that you are always on top of things.